Benefit from our worldwide network of data management solution providers! We know the service provider that fits your needs best and offer you the best international data quality solutions. Our data cleansing solutions are customer value driven. Just choose your individual service. Do you have a stressful deadline and short turn-around time? Our automated solutions make it fast and easy! Our remapping process makes the world easier to understand - and saves up to 3 months! 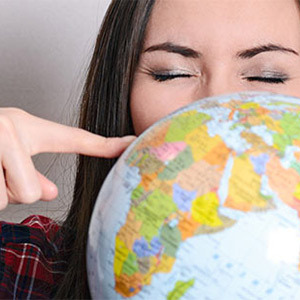 No matter where your customers are from, we take care of cleansing your data: securely, quickly and efficiently. 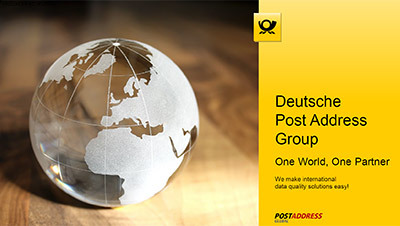 For (almost) all countries in the world you only need one partner for your customer data management: POSTADDRESS GLOBAL. At POSTADDRESS GLOBAL, we aim to find the perfect solution for you. We don’t have a "ready-made" solution, but work together with you to find the solution that best fits your needs. Learn more about how we can support you and how to stay in contact with your customers in our presentation. 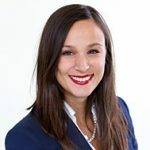 Do you have French company addresses that need to be updated? Would you like to check your American customer data for duplicates? Do you need to process british postage Returns? Do you have questions about address maintenance? Follow us on LinkedIn and stay up-to-date about international data quality solutions!